Zuri Day's novels are some of my favorites. Just good old fashioned romance. I've blogged about two of her novels I've read -- Lessons From a Younger Lover and Body By Night. Now, she has a new release coming in September. What Love Tastes Like. The novel features a romantic tale between a chef and her boss, the owner of a luxury hotel. Advance reviews concur that this is a tasty and romantic treat for your reading delight. I have enjoyed Zuri Day's previous novels, so I'm sure I will enjoy What Love Tastes Like just as much. So you're a middle class and educated black woman. You come from a good background and family. You're trained as a chef, but in this economy, you can't find a job in your field. But someone does want to hire you... a white couple, about your age, as their maid/cook/housekeeper. And you take the job... and keep it a secret from the people in your life. 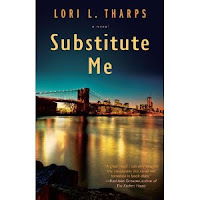 Thus, the premise of the new novel, Substitute Me, by Lori Tharps. One more novel going into my to-read pile. And a good recommendation for yours too. If you're a writer who is part of a community that has lacked access to the writing/publication field (i.e. 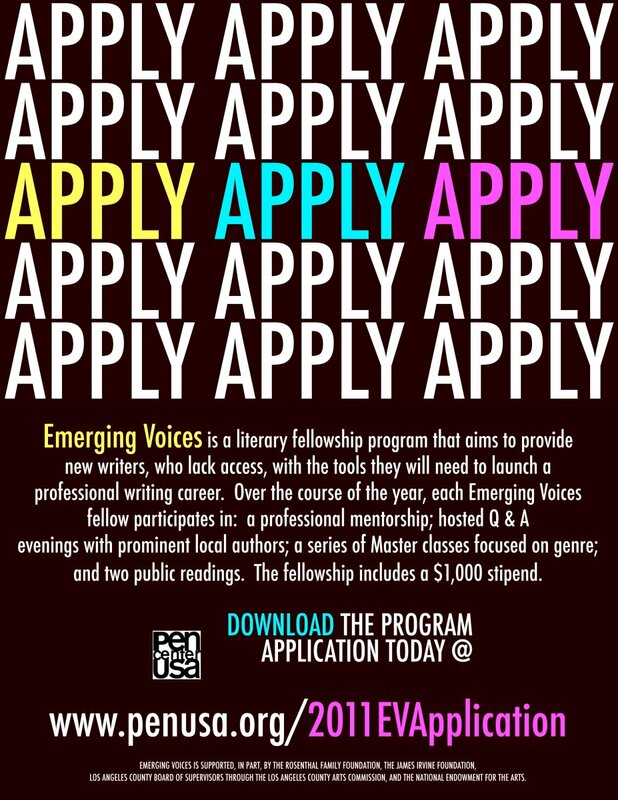 women, people of color, lgbt, poor/working class, street educated vs institutionally educated), then the PEN Emerging Voices Fellowship could be for you. 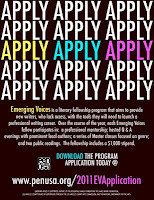 Applications are due in late August for the 2011 cycle. It's an 8-month intensive writing program/mentorship, where emerging voices can get the attention and nurturing they need to break into writing and possibly publishing. See the PEN EV website for more details. 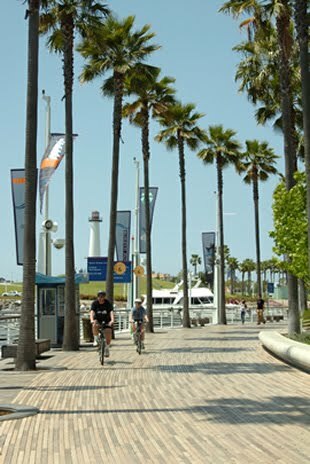 It helps if you're SoCali based, since each of the eight monthly workshops takes place in L.A. area. So... if you or someone you know is interested, please apply. Heard a great interview on NPR yesterday featuring the author of this book, You Majored In What?, Dr. Katharine Brooks. In times of economic challenge, like we're currently experiencing, students are often scared/swayed to major in something that builds skills directly applicable to a job. These scared/swayed tactics often come from parents, who worry about their kids' job prospects in light of student loans. These scared/swayed tactics also can come from red-state conservatives, who worry about people learning to be critical thinkers and questioners. These conversations are also shaping the dialogue on campuses, as college presidents and deans make decisions on what departments/majors are important to keep, and which ones they want to cut or make smaller. All majors are important and add to students' growth and development. Regardless of what students choose, I think taking ethnic studies (i.e. Pan African Studies, Chicana/o Studies, Asian American Studies, etc...) and gender studies (i.e. Women's Studies) is very important -- both in terms of learning/appreciating history and becoming culturally-empowered and confident about who they are. What about you? What did you major in? Or want to major in? Or... have you found that your major had absolutely nothing to do with your eventual career/job choice? If you're navigating career decisions, check out Dr. Katharine Brooks' blog, Career Transitions. So it's August. Summer is winding down. I hope you're doing something fun and memorable to make the most of Summer 2010. On that note, what's been the most memorable book you've read this summer? For me. Perfect Peace by Daniel Black. And 32 Candles by Ernessa Carter. But I'd like to hear yours and your recommendations.